A network designer is considering whether to implement a switch block on the company network. What is the primary advantage of deploying a switch block? Which configuration changes will increment the configuration revision number on the VTP server? What is the purpose of the vlan.dat file on a switch? Refer to the exhibit. 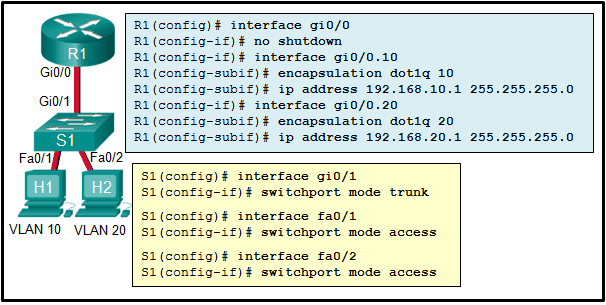 The configuration shows commands entered by a network administrator for inter-VLAN routing. However, host H1 cannot communicate with H2. 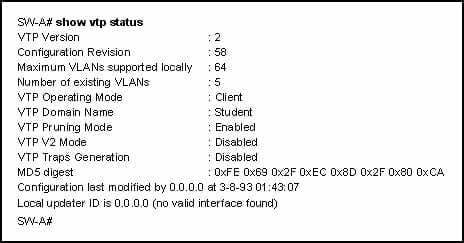 Which part of the inter-VLAN configuration causes the problem? 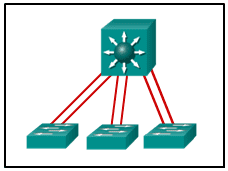 A small company network has six interconnected Layer 2 switches. Currently all switches are using the default bridge priority value. Which value can be used to configure the bridge priority of one of the switches to ensure that it becomes the root bridge in this design? A network administrator enters the spanning-tree portfast bpduguard default command. 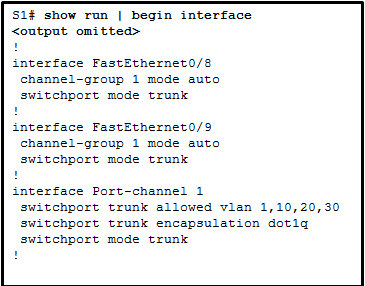 What is the result of this command being issued on a Cisco switch? 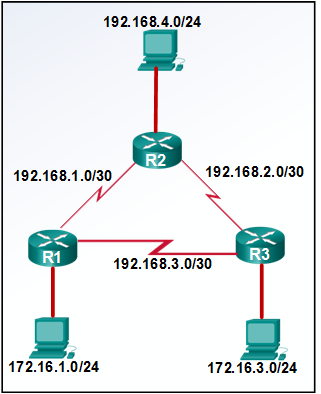 A network administrator configured an EtherChannel link with three interfaces between two switches. What is the result if one of the three interfaces is down? When EtherChannel is configured, which mode will force an interface into a port channel without exchanging aggregation protocol packets? 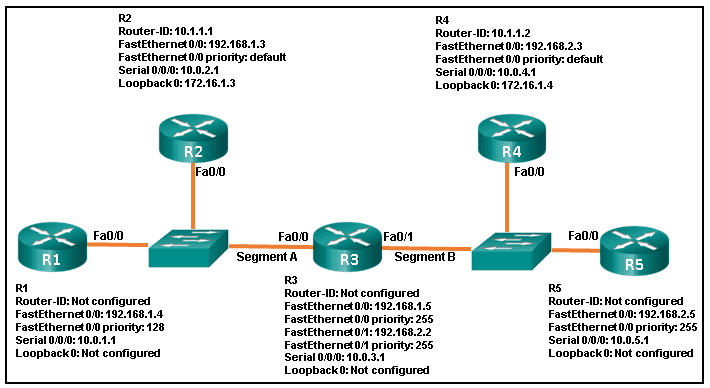 A network administrator is analyzing the features that are supported by different first-hop router redundancy protocols. Which statement describes a feature that is associated with HSRP? 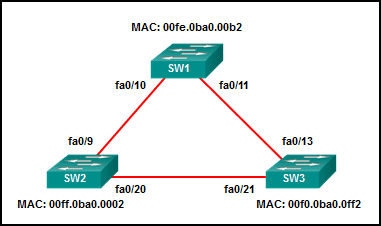 What is the term used to describe a network topology where the subnets from a major classful network address space are separated from each other by addresses from a different major classful network address? 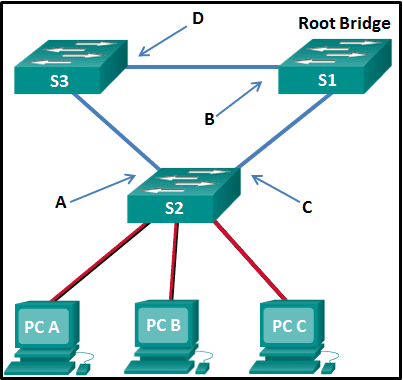 What type of packets are sent when there is a change in the EIGRP topology? 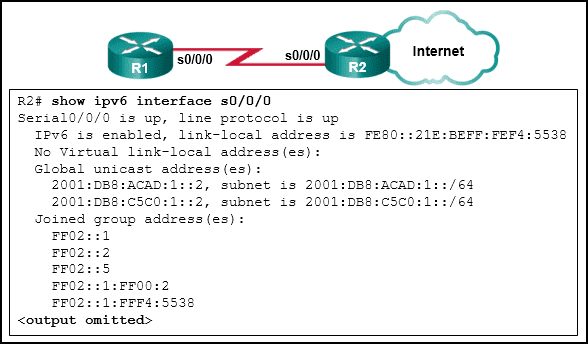 What indicates to a link-state router that a neighbor is unreachable? What capability do protocol-dependent modules provide to the EIGRP routing protocol? 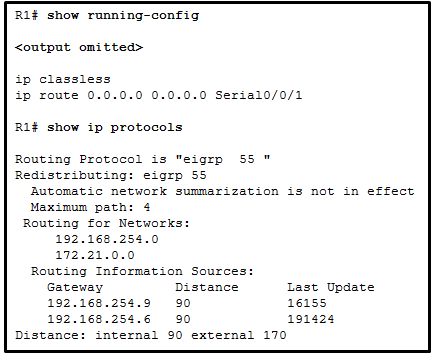 When are EIGRP update packets sent? Refer to the exhibit. 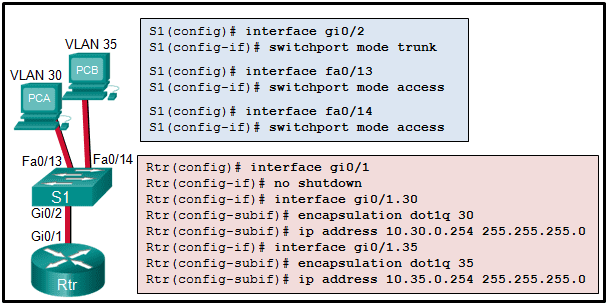 Which command should be used to configure EIGRP to only advertise the network that is attached to the gigabit Ethernet 0/1 interface? 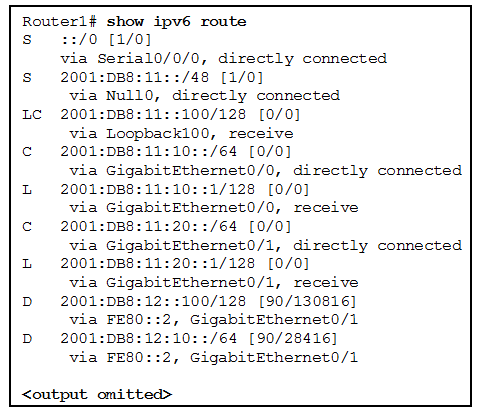 When will a router that is running EIGRP put a destination network in the active state? Which address is used by an IPv6 EIGRP router as the source for hello messages? Which command will configure an IPv6 default static route? Which statement describes the load balancing behavior of EIGRP? 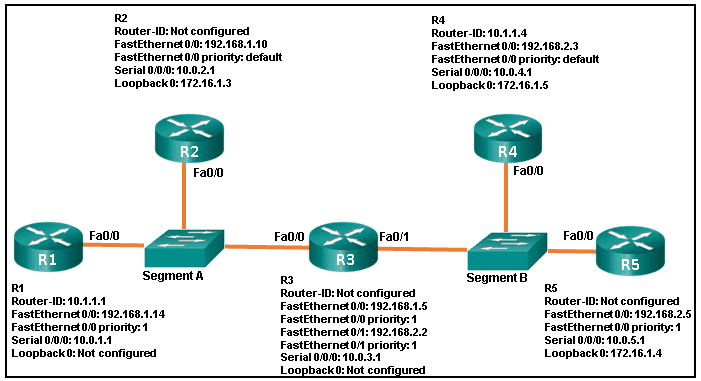 What routing protocol can be configured to load balance across paths with unequal metrics through the use of the variance command? 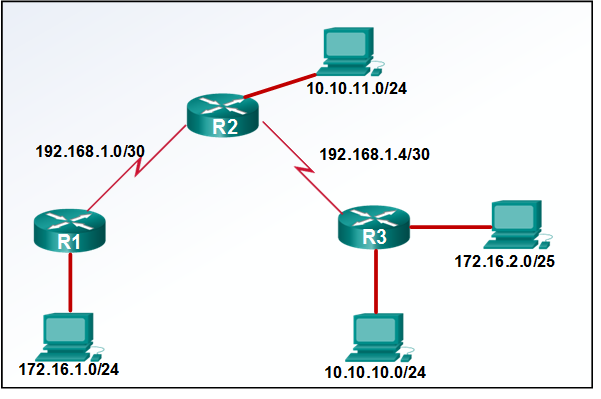 A router is participating in an OSPFv2 domain. What will always happen if the dead interval expires before the router receives a hello packet from an adjacent DROTHER OSPF router? In an OSPFv2 configuration, what is the effect of entering the command network 192.168.1.1 0.0.0.0 area 0? 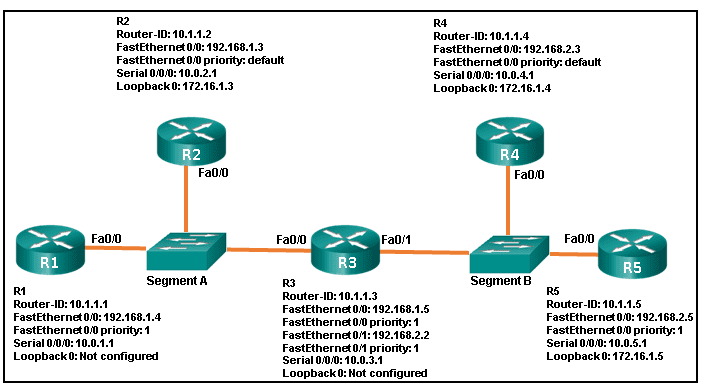 What information is contained in OSPF type 3 LSAs? Refer to the exhibit. A company has migrated from single area OSPF to multiarea. However, none of the users from network 192.168.1.0/24 in the new area can be reached by anyone in the Branch1 office. From the output in the exhibit, what is the problem? Refer to the exhibit. 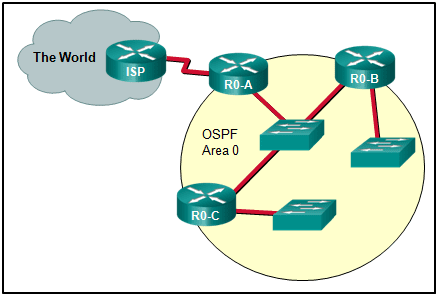 What method can be used to enable an OSPF router to advertise a default route to neighboring OSPF routers?